I know this hair isnt totally the same but it looks a little similar! Whoa, you're right! 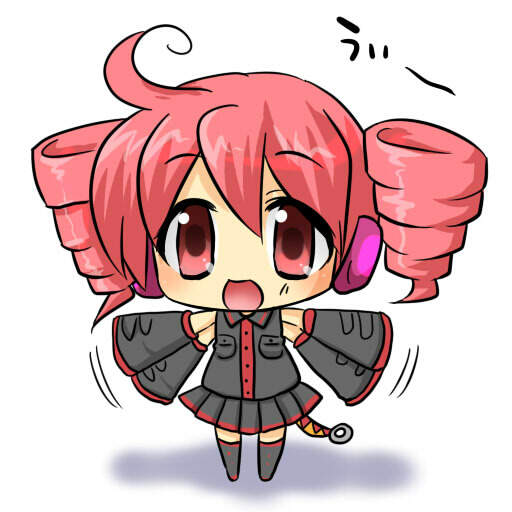 It kind of does look like Teto's hair! Even the bangs look similar. It kind of does only for the bangs. Her pigtails/drills are shorter than that. Im talking about the twists. It kinda does. You're right it kinda does! Maybe a fantage worker likes vocaloid. I was also thinking that lol. Whoa yeahhhh!!! So weird! I never noticed that!! Yep it does kinda look similar. Maybe it was a condience that it sort of looked like teto. I don't think fantage made that because of vocaloid at all. I'm sure that's just a hairstyle they made up. Plus it would be copyright unless they mention somewhere it's vocaloid, which they do not. Pretty cool. Me like. not realllkkkkkky. But I do see some similarities. Yeah, it kinda looks like it. ☾ Dark Moon ☽ Don't ask why. Some simialarities I but teton's hair is shorter and pink . WOW! Thats a little weird. I can see the similarities. Guys i didnt mean like fantage meant to make this like vocaloid. I was just saying it looks similar. Subject: Re: Similar vocaloid hair.